The turquoise Laguna Parón is the lagest of all the 882 glacial lakes in the Cordillera Blanca. It is located at 4155 m asl. in the northern part of the Huascarán National Park and can be reached from Caraz over an adventurous mountain road. The lake is about 3.7 km long and has an average width of roughly 700 m. Its turquoise colour results from the rock flour suspended in the glacial meltwater. 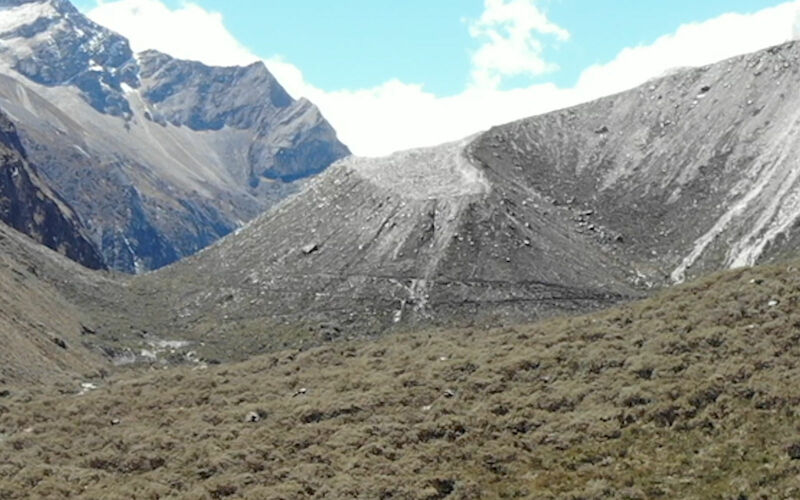 The background of the scene is dominated by the evenly shaped summit of the Pirámide de Garcilaso (5885 m). A special feature of Laguna Parón is its dam: glacial lakes often grow behind terminal moraines, such as Laguna Palcacocha, or bedrock barriers, such as Laguna 513. The situation is more complicated with Laguna Parón. By clicking into the photograph you can start exploring the surroundings of the lake. Laguna Parón covers the upper part of the steep-walled, trough-shaped Parón Valley. This aerial photograph depicts the dam of Laguna Parón from downstream (the lake is directly behind the dam). The second and the third title images show the dam from other perspectives, whereas it served as the viewpoint for the first title image. Try to describe the landform impounding Laguna Parón. Thereby, start with the broad-scale patterns and then move on to finer scales. How could this landform have developed? Use your observations to deduce the most important processes involved. Tell the story of this landform! 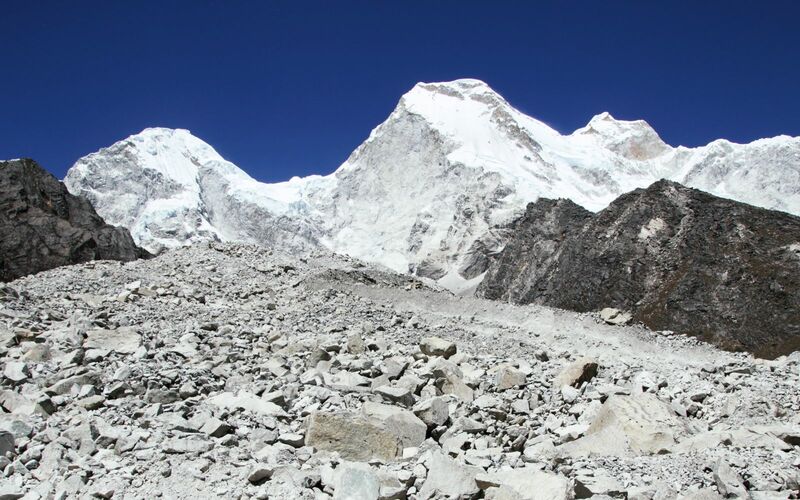 Jatunraju rock glacier reaches down from the Nevado Huandoy, the second highest peak of the Cordillera Blanca (6395 m). Most rock glaciers develop from frozen debris in permafrost areas. In this case, though, the rock glacier evolves from a glacier in the upper part to a debris-covered glacier in the middle part and finally to a rock glacier in the lower part. The average of the debris influx is about 5000 m³ per year. It is actually its lateral moraine which forms the huge natural dam that impounds Laguna Parón. 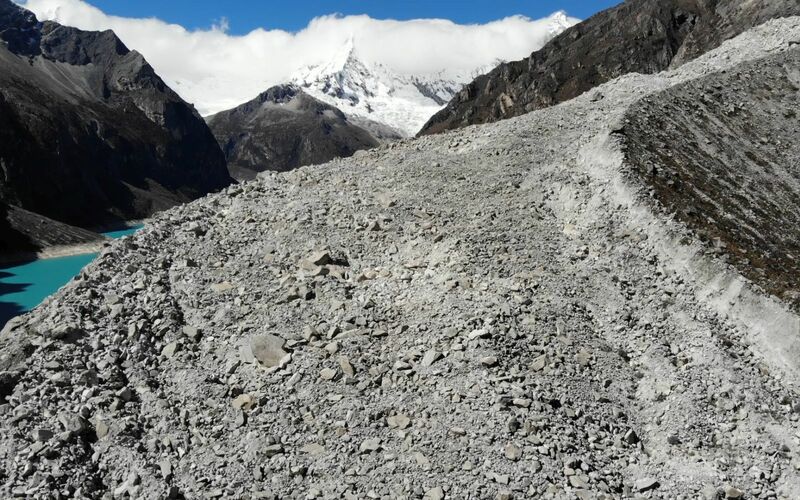 Explore the Jatunraju rock glacier by clicking on the arrows. Two smaller upstream lakes already had a lake outburst. At that time, Laguna Parón was not filled up to its maximum level and served as a natural retention basin for the sudden inflow of water. 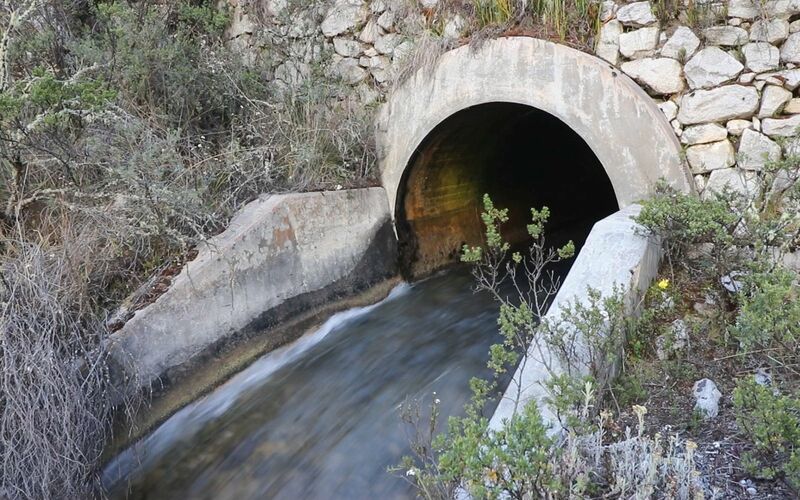 In order to decrease the water level of Laguna Parón and to increase lake safety, a drainage tunnel was built. The contribution on Laguna 513 shows another example of such a tunnel. Besides safety, this tunnel also serves for the regulation of the water supply to the communities downstream in case of water scarcity. For this reason, the water level is only lowered by 10–15 m.
You can change the view by clicking on the arrows or into the image. This contribution was modified and extended by Martin Mergili.